Outstanding Endings to a Pokemon villain! Discussion in 'General Pokémon Discussion' started by shoz999, Nov 10, 2018. One of the things that make Pokemon as a whole series so interesting is there villains. 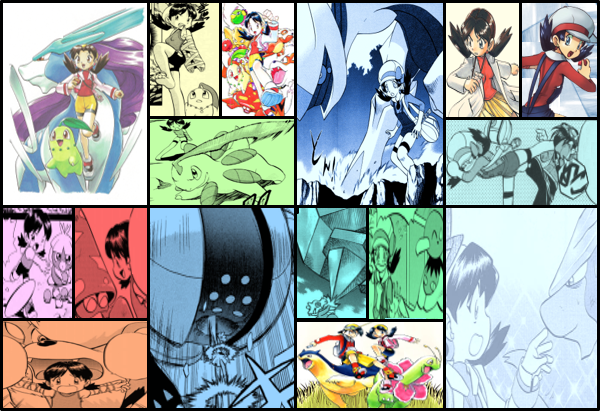 From their personalities, to their mindset, to their philosophy, to how they interact with the Pokemon themselves. Their undoubtedly one of the most interesting things about Pokemon that gets people talking for years to come. Some would say it is a good villain that drives the story, keeps the player or hero motivated to the very end and with that being said, villains can meet some very compelling fates that leave Pokemon fans talking about these mysterious villains even more, leaving more questions than answers, a mystery behind wondering if Pokemon fans will ever see them again? With that being said, the games have delivered many interesting villains and it's anime and manga counterparts have in turn delivered interesting takes or their own exclusive villains that some people find more interesting than the game counterparts. So what is an ending to a Pokemon villain that blew your mind or stood out the most? I will start with one of my favorites from Pokemon Adventures that has produced most of the shocking and unexpected ends to many of the series villains that most people just never saw coming. Those who are most familiar with the games will be the most surprised. 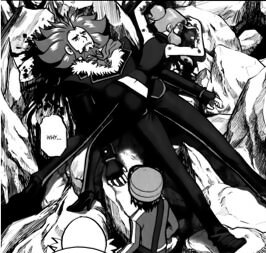 A favorite of mines that no one saw coming is Lysandre of Pokemon Adventures XY, possibly the best take on Lysandre and arguably the best unexpected end to Lysnadre's rise to power. Unlike other versions where Lysandre's speculated death happens in the games and anime, Lysandre actually lives but faces a much more unexpected and ironic fate that will leave readers gasping in complete shock, eyes widened in bewilderment and yet for some it's somewhat satisfying in the end as not everyone saw him as a humanitarian who loved people and Pokemon but as a manipulative monster who abused the trust of the masses and his associates to save a select few. For those who plan on reading the XY manga, I absolutely recommend you do not click the spoiler section as it will spoil the surprise reaction on your faces. Practically no one saw this coming. Those are Lysandre's last words. 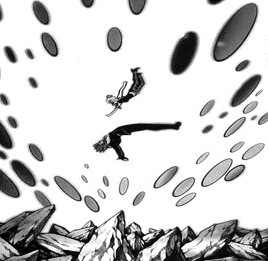 In the Pokemon Adventures manga, Lysandre doesn't die but he, guessed by many fans, ends up as a cripple. The man who stood tall speaking how only the "Chosen Ones" should live by specific characteristics he had in mind determining a person's strength in mind, character and wealth ends up as possibly as a cripple. It's not confirmed but readers assumed this by their own reactions, watching Lysandre falling off from great heights towards the ground full of spiky rocks while Malva tries to save the person she most respects. Malva is too late. Malva appears to be uninjured the most, Lysandre breaking her fall. Crippled or not, Lysandre has clearly suffered a huge injury on his back to the point that his blood is leaking to the earth, an ironic end to the man who bears characteristics of a king and a lion judging who should live and die.